So much more than just a dictionary... the completely revised, bestselling, trusted Mosby’s Dictionary is the all-in-one reference you need to help you make sense of the complex world of health care. It features superior-quality definitions plus 2,400 full-color illustrations -- nearly three times more than any other dictionary available! But that’s only the beginning. 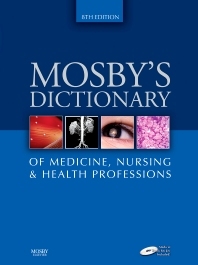 Mosby’s Dictionary also includes encyclopedic entries to explain more difficult concepts in depth, 12 appendixes with practical quick-reference information, plus the Mosby’s Medical Spellchecker CD. It’s the ONE reference you’ll turn to from beginning to end!